Summer here in Vancouver is especially beautiful. Today's date is August 27th, as I write this, and it is exactly 5 years ago today that I arrived here. Through the many happenings in life, I have enjoyed the times we've had together through the thick and thin. I will never forget the constant support and cheering that all of you continue to give me. 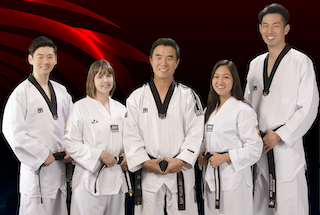 I am encouraged, therefore, to strive to do my very best to put together the best programs for our taekwondo dojang. Taekwondo is a sport that goes beyond physical exercise. I think the purpose of taekwondo is not only to keep ourselves physically fit and healthy, it is learning the basics of self defense. Currently, schools alone are not able to fully teach respect, self esteem, and the physical health aspects of our children. This is where taekwondo stands between the gap and enables our children to learn and apply these very important traits in our every day lives. The pride that I have in the effects of taekwondo is what drives me to do what I do every day. I would like to encourage you and your children to enjoy the sport of taekwondo as you work hard to learn it. Life's wisdom can be learned with great joy through the art of taekwondo. Having self esteem and good health is the foundation in achieving happiness in one's life. Through the dripping of precious sweat, we are able to find health as we realize that anything can be achieved if we apply dedication to ourselves. Rather than starting taekwondo by asking yourself, "Can I do it?" it is better to say to yourself with a positive attitude, "Let's try!" Starting taekwondo in this kind of mentality will bring you great success in learning the martial art. You will not only benefit in mastering the sport, but the attitude you display will bring you success in all areas of your life. I recall my mentor and master instructor, Woo Jin Chung, telling me that he was a man running the confidence building fist factory. Loud ki-haps that are followed by the cracking and breaking of the boards.....that excitement! that sense of accomplishment! that is the gift that taekwondo can give you. I hope that taekwondo brings you great joy and happiness in life. 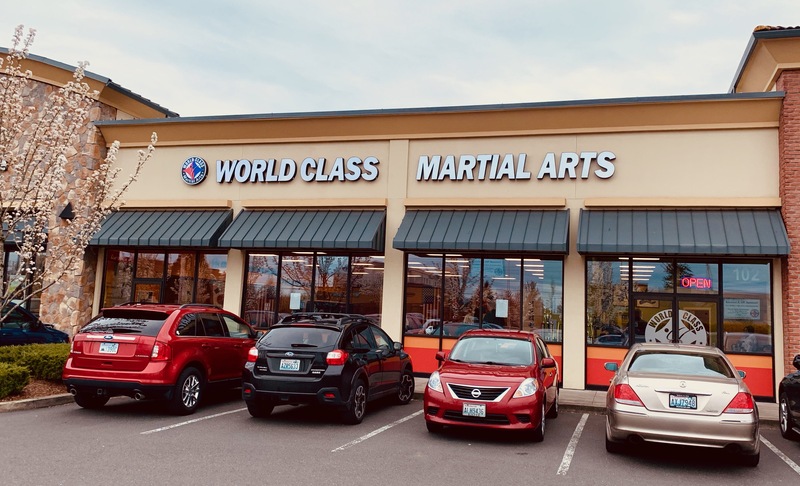 I also hope that you look forward to coming to taekwondo to kick and punch as we sweat together, exchanging positive energy to one another, so that we may become stronger and better in life. This is what I hope taekwondo will do for you and this is what you should expect from it. As always, my goal is to provide not the best dojang, but the hardest working dojang possible. Instilling in a little child, the self confidence, strong mentality, and the will to trying one's best is what I want to make happen in our dojang. To all of my students and parents who continually trust and support me 100%, I sincerely thank you from the bottom of my heart. I will not look back at the past 5 years of struggles, but rather look forward to the brighter up coming years of our dojang.